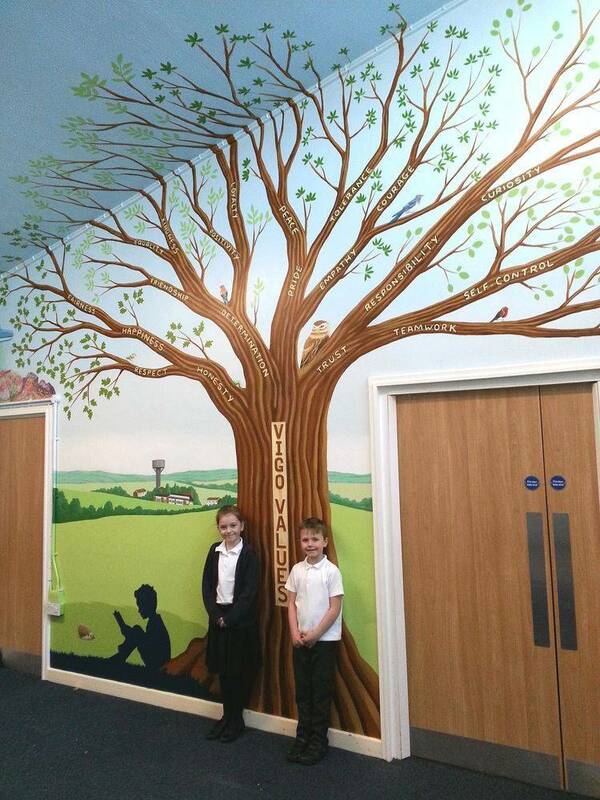 This large tree was painted in the entrance hall to Vigo Village Primary school. We painted the wall and ceiling a fresh sky blue, and then painted a large Vigo Values Tree which spreads across part of the celing. The tree is comprised of four different tree types, visible in the leaves we have painted, which symbolise the four houses within the school. 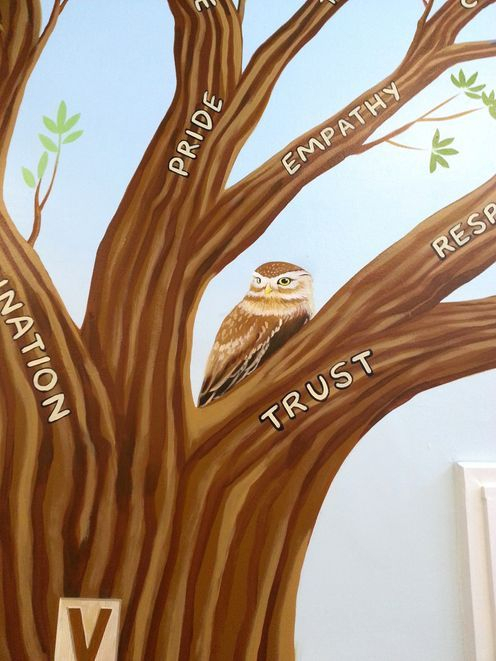 The tree has the school values written in the branches and there are various animals in the mural, each representing one of the school classes. 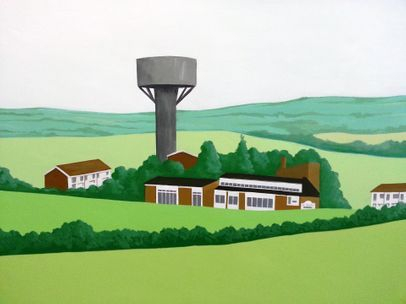 In the background we painted Vigo Village with the recognisable Vigo water tower in the middle. 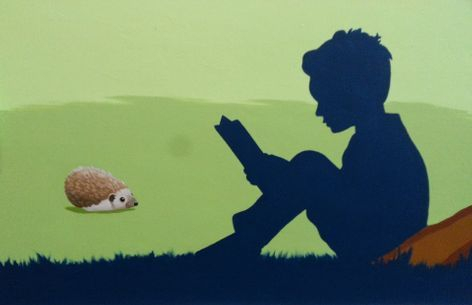 In the foreground we painted the silhouette of a reading boy, finished in dark blue - the school colour. Due to painting the ceiling and having to use a scaffold tower, this mural took us seven days to complete.